I dunno; because this opinion belongs in a comic book? 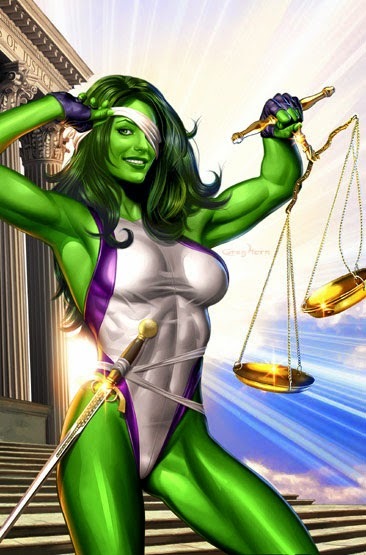 By now tout le monde knows that the Supremes have ruled in Burwell (nee Sebelius) v. Hobby Lobby, and the opinion stinks. I agree with the dissent, but I hold out two carrots of hope. One, a comment at the SCOTUSBLOG live blog of the opinion, which mentioned that Obama can make an administrative change to accommodate the Court's claim that the government can pay for contraceptive coverage for closely-held corporations which object to such coverage on religious grounds. Whether this is right or not, I don't know; and I can't now find that liveblog anymore, so maybe I'm just crazy. Second: this opinion is based on RFRA, not on the 1st Amendment; and it seems to have nothing to do with Citizens United or corporations being people, and everything to do with a misreading of the Dictionary Act and RFRA, which misreading the dissent takes apart (and I leave it to those interested to read the dissent, which is worth reading even if it is written for lawyers). As the dissent point out, the complainants actually have no Constitutional argument; that argument is precluded by Employment Div. v. Smith. Therefore they had to bring a statutory argument, which is why they relied on RFRA. My hope based on this second fact: that RFRA was passed in response to Employment Div. v. Smith (as the dissent helpfully points out); and insofar as the Supremes have misread RFRA (a bad statute in any case, IMHO), it can amend RFRA to correct the Court's error (a simple change would be to exclude corporations from the statute's coverage by clarifying that only "natural persons" have a protection for their "free exercise of religion.") Again, the dissent does a thorough job of eviscerating the majority opinion on this point. Adding: I've found what I think is the most offensive language in the majority opinion, a phrase that echoes Mitt Romney's "Corporations are people, too, my friend!" And frankly, given the history of corporate law, it's a been breathtaking in its dissolution of the "corporate veil:"
Corporations, "separate and apart from" the human beings who own, run, and are employed by them, cannot do anything at all. But the corporation is merely the people who own it; it is not the employees who work for it, who must submit to the religious opinions of the owners; at least until the government steps in and provides for them what the owners find unconscionable to provide on their own. The problem here is, you have to do extensive reading. As I say, fairness should require that I post at least excerpts of the transcript and the essay, to support my argument. It's something I teach my composition students every semester; still, I'm not going to do it now. For one thing, I'll end up belaboring arguments I've made many times by now, and who wants to suffer through an old man's inability to remember what he said last year, or even last week, or his willingness to say it all again? For another thing, it is as much what is not said at these two links that I am interested in. Ruse is right, the "Humanism" championed by Dawkins and the other New Atheists is put forward with a religious fervor that makes it a replacement religion; and he marshals examples I was unaware of in support of his thesis. I'm interested in the sociological reasons for that, a topic he barely touches on and he never mentions sociology in his analysis It's that lacuna that is most interesting to me. In other words, it's the dogs not barking in these discussions that I'm interested in. Those dogs aren't barking because they know their masters and fall silent in the night, but because they are not present at all. Maybe the analogy is that some groups are cats in this discussion, and are never part of the pack in the first place. So it isn't the dogs that don't bark; it's the dogs that aren't even there. I read the entire transcript at On Being longing for a theologian to be a part of the discussion. Maybe that would create too great a risk of jargon, of a conversation that only dogs and philosophers could hear, but what I got instead as a philosopher trying to keep his comments comprehensible, and a mathematician trying to defend a Sunday school version of Christianity in the presence of a philosopher of science. And both were talking about theology with no more knowledge of the subject than I have of statistics or the human genome. There is more to "religion" than popularized ideas about Christianity, just as there is more to Islam than the "Islamic Caliphate" announced this weekend by ISIS. Somehow I don't think the world's 1.8 billion Muslims, the majority of whom live in Asia, are going to feel themselves in thrall to this "Islamic Caliphate" any time soon, though I expect lots of words spilled in America over this new Muslim threat and hegemony. No more then, does even kindly Jim Bradley speak for Christianity in his attempts to reconcile the nature of God (the subject of theology) to the nature of the world as understood scientifically and more particularly through certain fields of mathematics. Michael Ruse gets off a nicely self-deprecating joke about philosophers in a dark room looking for a black hat that isn't there, and theologians being the ones who find the hat (which either means they are delusional, or there is something there only theology can grasp); but at no point in the discussion do either of them even make a clear distinction between science and the philosophy of science (there is a mention of it) which would clarify theory from practice, a distinction as important to the lay believer in the pew and the theologian. Indeed, science can have a philosophy, but theology can, apparently, only be what Sunday school teaches: Jesus loves me, this I know, for the Bible tells me so. That's about as theological and spiritual as the discussion gets. And the philosopher's discussion of religion and science in his essay is even emptier of content. Which again, I suppose, is supposed to be acceptable because these are public, "popular" fora, not academic ones. Nor are they necessarily religious ones, although by today's standards it is if only because religion is mentioned but not disparagingly. The only discussions of religion and atheism I can come up with are "popular" ones like the debate between Dawkins and Rowan Williams that Mr. Ruse mentions in his essay. I find such discussions about as useful as the debate between the late Christopher Hitchen and Chris Hedges. It was the Romans who revered rhetoric, because they appreciated the power of panem et circenses. The Greeks were rightly more dubious of the power of the well-turned phrase that charmed the hoi polloi but did not lead to wisdom. If Socrates got one thing right, it was understanding that the road to wisdom began with understanding that everything you know is wrong. Rhetoric that wins debates rests on appealing to the audience's desire not to learn anything else, at all, except how wise they already are. Of course, there's a reason serious theologians and religious thinkers don't stoop to engage the likes of Richard Dawkins, and it has to do with the sage advice against wrestling with pigs. I mentioned sociology above, not because I'm trained in sociology, but because I was taught some of its principles and read some texts in sociology in seminary. One of the common jibes against Christianity (Ruse mentions it in his essay) is the distinction made among believers: Is a Mormon a Christian?, the usual formulation goes. Well, is a sociologist a scientist? Is an anthropologist? Richard Dawkins makes much of behavior and genetics; has he studied psychology, sociology, or anthropology, all of which are fields that attempt the scientific study of behavior. 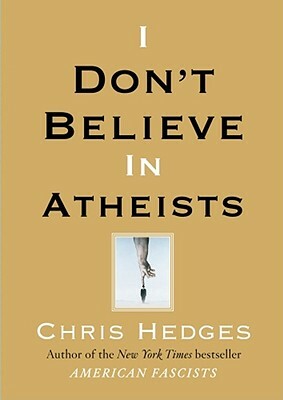 Dawkins refuses to make himself conversant in the ideas of theology, his bete noir; but Dom Crossan, the Biblical scholar, is conversant in both the fields of anthropology and archaeology, and brings both to bear in his studies of the life and times of Jesus of Nazareth and Paul of Tarsus, as well as in scriptural studies. Professor Dawkins can't be bothered with such scrupulous scholarship; he prefers the popular attention of selfish genes and God delusions. I think the true lament is that we grow narrower and narrower, insisting not that we can see the world in a grain of sand, but that the grain of sand IS the world. Stop that world; I want to get off. Yes, punishment has been handed out. What more could we expect? And I still stand by the Lancet study that at least 655,000, or 2.5% of the population of Iraq, was killed due to our invasion and subsequent war. Can't make an omelet without breaking a few eggs, right, Bill? Besides, Bush was punished at the polls for that; twice. 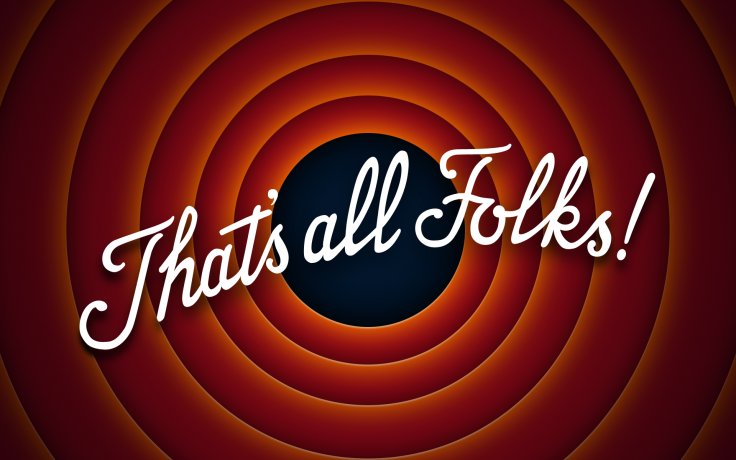 I grew up on Looney Tunes. Born 10 years after the last of the best of them were made, mostly what I got from them were cultural references to Hollywood and popular music and World War II that played out before me like a time capsule. I remember there was a lot of violence in them, but we didn't call it violence then, we called it "cartoons." Now Slate tells me we wouldn't tolerate that level of violence in cartoons today. Perhaps not. It has all moved to adult fare. As much as I liked No Country for Old Men and admired the film made of it, the violence in it is the violence of a cartoon. The villain in the story, a man more sociopathic and endowed with superhuman powers than any traditional version of Satan (or than Milton's supreme version, for that matter), engages in violence that is rivaled only by Bugs Bunny. It is absurd violence; it is outrageous violence; because like a cartoon, it is violence without consequence. It is the kind of violence which would chill the most hardened community into quaking terror, that would be blared across local TV news and certainly get the attention of an entire state. And yet, in the story, nobody seems to know its going on, even when it happens in motel rooms and on city streets. The violence never produces community outrage, it just produces the lone presence of Tommy Lee Jones. No, the characters don't jump up and reanimate themselves, as the characters do in cartoons, but they might as well. Death seems to matter only to the few characters who actually have names in the film. The rest of the world might just as well have been raptured, leaving the audience in hell on earth. Stanley Kubrick, I now learn, filmed McCarthy's Blood Meridian just before the director died. Apparently it's violent enough to make Quentin Tarantino reconsider watching it (and speaking of a director who engages in cartoon violence....). It is certainly not a movie for children (is any Kubrick movie?). So clearly what has happened is we've removed the cartoon violence for our children (even the most action-oriented superhero cartoons are anodyne fare compared to a Looney Tunes offering), but we've kept it for ourselves. Which is kinda funny, really. The men who made the Looney Tunes cartoons that are the most famous, said they were mostly trying to entertain themselves. Is that how we explain our movies now, even as we make sure our cartoons teach our children more approved lessons? Do as I say, not as I do. Is that the basis for our relationship to children in our culture, now? I was 9 years old during the Summer of Freedom in Mississippi. I might have learned the mnemonic to spell the state's name by then ("M-I-crooked letter-crooked letter-I-crooked letter crooked letter-I-humpback humpback-I"), but I probably connected it to the river, not the state. I couldn't, in other words, have found Mississippi on a map. I do remember that the greatest underlying fear of my childhood was violence. Not violence from criminals, as I saw on TV every night (or "secret agents"), but from Southern rednecks (another term I didn't learn until I was older than 9). I still remember a vague, insistent fear of violence in rural settings, on back roads, in the "wrong part of town," and the violence was always connected to white men. I never really feared black men; I had a fear of white men. A completely irrational fear, based on nothing at all. Nothing tangible, anyway. Vietnam was not yet on the nightly news every evening The death counts and body bags and film of men firing automatic weapons in the jungle somewhere were not yet daily fare. But I'm pretty sure my fear was already implanted before that, and it had a locus: it was white men; it was Southern white men. The kind of people I knew, though I didn't realize how much was not like them until the race riot at my high school. The kind of people I lived around daily, who never did me a moment's harm; never made a threat to me; never so much as raised their voices to me. Still, I had an undercurrent of fear, and it was attached to the violence possible from Southern men. I finally figured out where that fear came from, last night, watching PBS. Watching the old news reels, the old TV clips, listening to the descriptions of violence, I remembered the very real violence that seemed to be all around me in my childhood. I remembered the tension, even though I didn't live in Mississippi or in any place touched by protests or changes in the law until 1970, when the public schools I attended were finally integrated. Mostly, I found the source of my fear, a fear I'd long ago forgotten, but which came back like a demanding memory as I watched history unfold again. Perhaps we would do well to recall the violence attendant upon the efforts to register blacks to vote in Mississippi. Registration before the county clerk required an essay exam on the Mississippi constitution, one designed for blacks to fail, one they would fail because the white county clerk said so, because in Mississippi that county clerk's word was law on the matter. Lists of those who had tried to register would run in local newspapers, simply to intimidate them into not trying again. Volunteers during Freedom Summer bypassed the clerks by taking forms to blacks and returning the forms en masse, with no way for the clerk to determine who on the form was white, who was black. And today, our Jubilee having been declared by the Supreme Court, states once again challenge voting registration by private groups. They have learned from Mississippi 50 years ago. Have we? Three volunteers died that summer; it was violence meant to intimidate, though I'm sure it was more immediately violence against "outsiders." It was people in Mississippi upset that their status quo was being challenged. It was also, in so many ways, a huge mistake. Murder is never justified, but the deaths of those three spurred people across Mississippi, especially the African Americans, to support the effort to register voters, to rise up, to not take it anymore. People died for the right to vote; and it was within my lifetime. It wasn't near to me or known to me at the time, but I felt the effects of it, I still carry memories of the fear of it. I learned in my bones what a fearsome place the world could be, even though it never touched me directly. I learned that such things must not be accepted or tacitly approved or ignored. I daresay I learned that lesson better than Chief Justice John Roberts did. I doubt he's learned that lesson at all. Equity and equality under the law and equal access to all the rights of citizenship are the birthright of all Americans. We still haven't lived that out, though we praise ourselves thinking we have always done so. People died for that simple idea, because the evil truth prevails that people don't matter, only ideas and things matter. We cannot destroy that evil, we can only oppose it, unflinchingly, with open eyes and open hearts, to the end of our days. We can only insist that ideas don't matter, and things don't matter, until first people matter. It is a simple thing: when people matter, ideas and things take their right relationship with us. When people matter, all things shall be well, and all manner of thing shall be well. And the fire and the rose will be one. So Bill Maher talked to Jon Stewart last night (I was going to say "betrayed his stupidity again," but that would tip my hand too early). I didn't catch it all (I seldom watch Jon's interviews), but I did tune in just in time to hear Maher lament that an avowed atheist can't win a public election in America (well, probably not for federal office, but in all of America? I doubt it.) and that Atheists were the largest minority group in the country. Well, I guess if you mean 2.4% of the population is the largest possible grouping of like-minded people in the country, you could be right. Some adults who describe themselves as atheists also say they believe in God or a universal spirit, according to Pew Research Center surveys. At the same time, some people who identify with a religion (e.g., say they are Protestant, Catholic or Jewish) say they do not believe in God. And dig into the numbers in that report: no small number of self-identified atheists either believe in the existence of God, or consider spirituality to be harmonious with their atheism. So we could first argue over definitions, before we get down to arguing over how many atheists there are. Maybe we could start a "No true Scotsman" argument for atheists and see how that goes. (There seems to be a lively example of this in the comments at Pew, but I didn't go to deeply into them there.) But if we start whittling away "true atheists" from those who betray some acceptance of spirituality, the percentage of the population who are atheists is only going to go down. On the other hand, they already have churches; why deny them the other pleasures of religious belief? 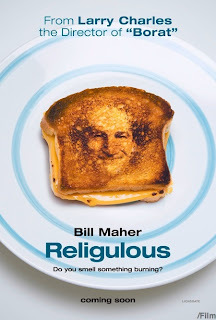 Maher likes to bring the stupid when it comes to discussions of religion, so this really didn't surprise me. 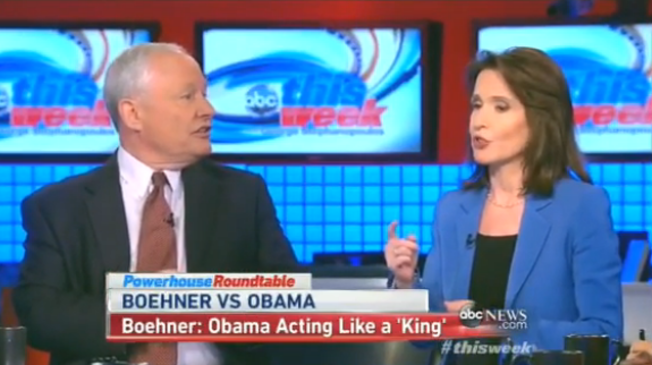 I am amused by his self-satisfied claim that Obama is "a drop-dead atheist." Presumably that's based on the same discernment displayed by Sam Harris as to "true" and "false" Christians. Either way, his claim about atheists being a large minority in America is as egregious an example of having your own facts as anything spouted in FauxNews. I suppose the difference is, Maher is just a comedian, and "The Daily Show" is just a fake news show. In the end, it really doesn't matter. As with most issues of facts and figures, your first response should always be to consider the source. 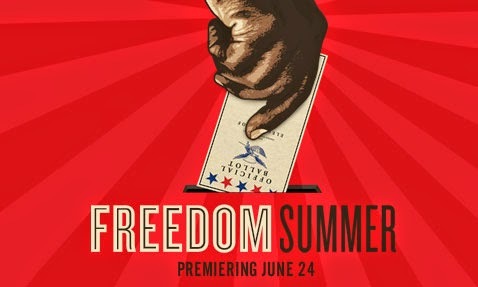 We are fifty years after "Freedom Summer" in Mississippi this summer. And the Roberts court has declared, as Charlie Pierce likes to call it, the "Jubilee" when it comes to voting rights. 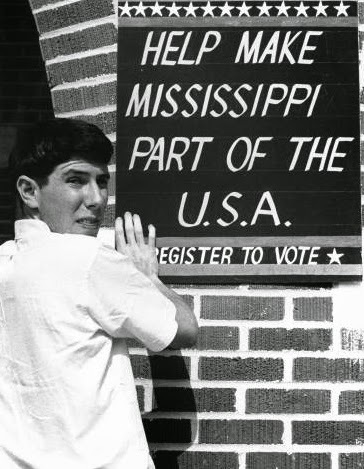 People died in Mississippi in 1964 and after, to secure voting rights. The Roberts court has declared all of that of no value or account, and declared we are free of the need to worry about voting rights anymore. It is 60 years gone since Brown v. Board of Education, still regarded as one of the landmark Supreme Court rulings on par with Marbury v. Madison or Roe v. Wade. Brown is one of a handful of cases almost everyone knows by name, even if they don't quite know what the holding was. All they know is, it was right. That ruling, too, has been gutted by the Court since, and laid to rest by the Roberts court, with the Chief Justice intoning the tautology: "The way to stop discrimination on the basis of race is to stop discriminating on the basis of race." Of course, Brown didn't try to stop discrimination on the basis of race; it tried to eliminate the heinous practice of separate but equal, which always means separate and unequal. No matter; 60 years later, Brown is as dead as if it had never been decided. As Pedro Noguero told Chris Hayes, "We've pretty much come to accept de facto segregation as being the norm." But we comfort ourselves with knowing the Court did the right thing in 1954, and we live on as a nation under that now hollowed out and meaningless ruling. This is not to damn the Roberts court, though I have nothing good to say about its rulings. Much of what that Court has done is merely tip over the rotted trees destroyed by the Berger and Rehnquist courts. No, the Roberts court is not to blame here. It is our modern "liberal" faith in the courts that has failed us. The Warren Court was the aberration, the exception that proves the rule. Baby Boomers grew up with that court's rulings: Miranda; Gideon; Brown; the school prayer cases (if I named them, would you know them? ); Roe; and the opinions, especially of Justice Douglas, that erected the "wall" between church and state. The rulings we thought were inviolate, that established the Court as the bulwark between tyranny and the people, between injustice and justice. Those rulings are crumbling like sand castles as the tide comes in. 4th Amendment cases I learned about in law school 30 years ago are so changed now I don't pretend to know anything about that area of the law. The 2nd Amendment has been read almost beyond recognition now, and bizarre concepts of constitutional law embodied in Bush v. Gore or the ACA ruling rival Roe v. Wade for shaky legal foundations and rule by judicial fiat. Even Miranda stands shakily, honored more on TV than in the courtroom. It is not all doom and gloom; not even the Roberts court has returned us wholesale to the laissez-faire days of the Gilded Age. But the idea that, once the Court does the right thing, all things shall be well and all manner of thing shall be well, should certainly be dead and buried now under the landslide of history. 60 years later, Brown v. Board of Education is a hollow memorial to an American ideal more honored in the breach than in the keeping. 50 years later, the people who died to bring voting rights to the entire country, to every city and township, mean as little to us as the deaths of soldiers in the war with Mexico in the 19th century. Long time passing, but it's gone. Carrie Buck was a feeble minded woman who was committed to a state mental institution. Her condition had been present in her family for the last three generations. A Virginia law allowed for the sexual sterilization of inmates of institutions to promote the "health of the patient and the welfare of society." Before the procedure could be performed, however, a hearing was required to determine whether or not the operation was a wise thing to do. Did the Virginia statute which authorized sterilization deny Buck the right to due process of the law and the equal protection of the laws as protected by the Fourteenth Amendment? The Court found that the statute did not violate the Constitution. Justice Holmes made clear that Buck's challenge was not upon the medical procedure involved but on the process of the substantive law. Since sterilization could not occur until a proper hearing had occurred (at which the patient and a guardian could be present) and after the Circuit Court of the County and the Supreme Court of Appeals had reviewed the case, if so requested by the patient. Only after "months of observation" could the operation take place. That was enough to satisfy the Court that there was no Constitutional violation. Citing the best interests of the state, Justice Holmes affirmed the value of a law like Virginia's in order to prevent the nation from "being swamped with incompetence . . . Three generations of imbeciles are enough." And the issue is back: in Virginia, the assistant commonwealth attorney offered a plea bargain to Jesse Lee Herald which included a vasectomy "he had seven or eight children, all by different women, and we felt it might be in the commonwealth's interest for that to be part of the plea agreement." Herald had previous convictions for minor crimes, none of which were related to fathering too many children; and his present arrest connected to children only because he flipped a car with a three year old in it. Not a nice thing to do, but not exactly grounds for sterilization. Still, his lawyer agreed to it, and so it shall be done. If you read the comments at the link and at Slate, the overwhelming answer seems to be: "Yes." Apparently allegedly fathering "too many" children renders Mr. Herald no better than a horse or a cow, and he must be castrated for the good of the herd (vasectomy is just a kinder, gentler form of castration; the goal is the same), or rather for the good of the "owners." There's something a little frightening about that, about using public health as a justification for castrating an individual who might or might not be an inconvenience to the state, as Carrie Buck was. And I think it shows the truth of Lt. Gen. Russell Honore's statement about the cleanup in Katrina, and the national reaction to it: we are afraid of the poor. It should be true that ideas don't matter; things don't matter; people matter. Unless there is an idea that causes us to reduce people to objects; then ideas matter more than people. And it's especially easy to sink poor people beneath the level of our ideas; which shouldn't matter more than people, but they do; because they are ours. And people are scary; especially poor people. The UCC in the news today. Barry Lynn is an ordained UCC minister. 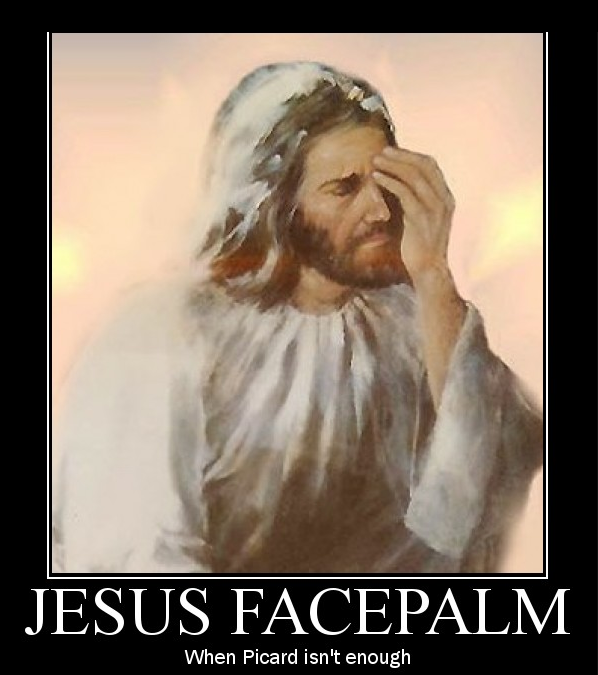 And I agree with his statements to Rep. Gohmert, who clearly has a definition of "Christian" that doesn't stop with baptism in the name of the Holy Trinity or faith in Jesus Christ as Lord. It means you either are, or you aren't, going to hell; and you know who is, and who isn't, because that's what Christ came for. Why this perturbs Rep. Gohmert to the point that he takes his time to question Rev. Lynn about this is something I simply don't understand. That he's stuck on the Johannine text (and ignores the teachings of Matthew, Mark and Luke, which don't support his "no one comes to the Father except by me" reading) is not surprising. That he's bringing it up before a Congressional committee is a clear sign he's playing to the folks back home. Rev. Lynn, you see, is not a real Christian; so he's not a real minister; so when he supports the separation of church and state, he doesn't do it in the name of Christ. So we (his constituents) can ignore him, y'all. There you go; Louie Gohmert decoded. Yeah, it gives me a headache, too. These are the days when I wish I was on Facebook. [GOP nominee David Brat] got his undergraduate degree at Hope College in Michigan, which is run by the Reformed Church in the United States, a conservative evangelical wing of the United Church Of Christ. The confusion starts with two similar sounding churches: the Reformed Church in America and the Reformed Church in the United States. The latter merged with the the Evangelical Synod in North America in 1934, forming the Evangelical and Reformed Church, which in 1957 merged with the Congregational Church to form the United Church of Christ. Confused yet? Wait, there's more. A breakaway section of the Reformed Church in the U.S. (RCUS) didn't join the 1934 merger and formed the "Continuing RCUS," which became (and still is) the RCUS. But Hope College has no connection to that church, either. Hope College was founded "with help" from the Reformed Church in America. The RCA traces its roots to the Netherlands, and to a church service in New York City in 1628; which is quite a bit before the RCUS got started, as even in Germany the original Reformed Church which became the RCUS didn't get started until the 18th century. So there's no connection between the UCC and Hope College except the word "Reformed," which merely refers to the Calvinist side, v. Lutheran, of Protestantism. I hope this clears things up. And it's still not worth signing onto Facebook over. I like Chris Hayes (I liked his show better when it was on Saturday mornings; he works best in a long discussion format), but honestly he can be such an earnest little geek sometimes. Bonhoeffer is teaching a few Protestants what it means to say 'yes' to the 20th entry and still somehow stay recognizably Protestant. A look at a few of his seminal ideas will make this clear. The significant works are the ETHICS [sic]...and, most important of all, LETTERS AND PAPERS FROM PRISON [sic]....Three central ideas from this book are in the process of becoming part of the general intellectual equipment of a good many younger observers of the American scene, both those with and those without an interest in what is usually called theology. It was a review written by William Hamilton, published in "The Nation"; the magazine in which Chris Hayes rose to prominence and obtained a TV show. I don't know more about the review than that, except that the last copyright date on my copy of Letters is 1971, so the review is probably older than Chris Hayes. 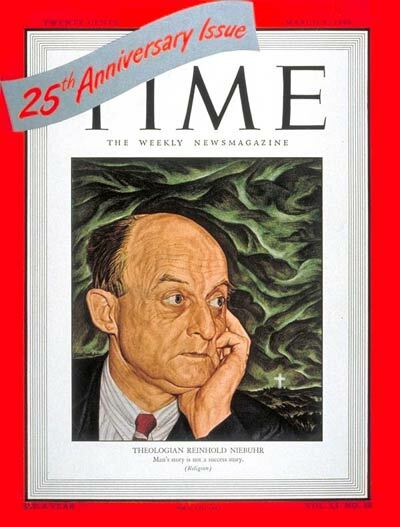 It recalls a time when even the left in America could openly discuss the ideas of Christianity: of Niebuhr (who made the cover of Time magazine) and Tillich, if not Bultmann and Feuerbach. Maybe giants don't roam the earth anymore. Or maybe, as the character Dana Scully said at the end of a memorable "X-Files" episode: maybe God is speaking, and no one is listening. I pick on Chris Hayes, not out of animus, but simply as an example. He was shocked to learn that the Rev. Dr. Martin Luther King, Jr. was not a universally beloved spokesman for civil rights in his lifetime; that what he advocated was not immediately embraced and championed by all but the most entrenched white supremacists. That, of course, is how we remember King now; but we only remember King for his "I have a dream" speech. Nobody even notices that the "Letter from Birmingham Jail" was written to churches from a church leader, or that the entire civil rights movement was grounded in, and supported by, the black churches of America. We have quite effectively pushed church and religion, if not out of the public square, then out of legitimate recognition. And we have done it in one generation. If ever there was an object lesson in the fragility of memory and the eradicability of history, this would be it. 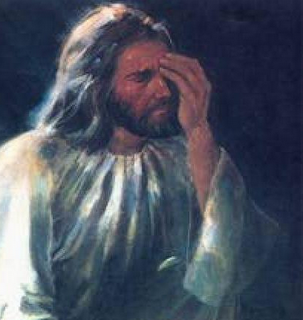 I can't imagine Chris Hayes having an in-depth discussion of the impact of Christianity on public policy, because I can't imagine Chris Hayes knowing anything about Christianity or Christian theology. True, Jerry Falwell rushed in to fill the gap created by the indifference to church of the Boomers, but even as the Moral Majority was claiming control of American politics (a control it never really had), it was clear that was a rearguard effort, the blush on the cheek of a dying age. 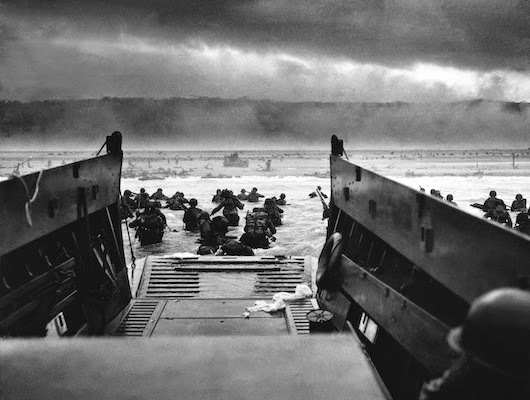 Even as "A Man Called Peter" symbolized the rush back to church that swelled the pews after World War II, Niebuhr and like-minded theologians were doing the work outlined by Barth, trying to reconcile the world and Christianity, recognizing that neither was in control of the other, or should be. And then we just gave up on church. 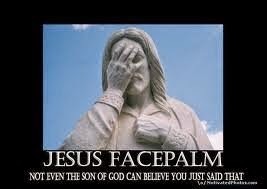 So I discard the idea that this abandonment of Christianity began at the turn of the century. This movement away from cultural roots has been going on for over a century. Eliot recognized it, and the tools of the dislocation and deconstruction were apparent in the 1920's. The computer didn't invent this; television didn't invent this. Its roots, in fact, are in 19th century Europe, the real century of revolution. We are all still rattling from the earthquakes that happened then. The truth is, we gave up on church in the 19th century, when the elites decided that fear of God was all well and good for the masses, and even necessary (and fear of God was the only relationship with God that mattered), but for thinking persons such notions were superstition and mythology. We haven't even invented a new vocabulary for this, even as anthropology has taught us mythology is not the simplistic fantastical explanation of natural forces that we all think it is. The effort, however, began then, not with the invention of the internet, or the Bomb, or the devastation of France in World War II (hello, Jean Paul!). The masses are just now starting to catch up with the elites of 2 centuries ago, and, as they did so now we do, and throw out the baby with the bathwater. So that a review of modern theology in "The Nation" is unthinkable; because the idea that church could matter, that Christianity could matter, except as an obstacle to the ideas promoted by "The Nation," is unthinkable. Almost, dare I say, inconceivable. As I said sometime back when I began this blog, this is more a publicly accessible notebook than it is a polished publication. 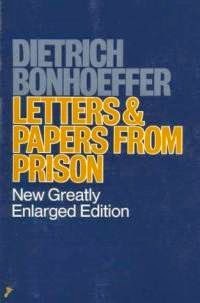 So consider these the thoughts I woke up with, the preliminaries to an appreciation and examination of a few ideas found in Bonhoeffer which I want to get around to discussing, or at least presenting. The movement began about the thirteenth century (I”m not going to get involved in an argument about the exact date) towards the autonomy of man (in which I should include the discovery of the laws by which the world lives and deals with itself in science, social and political matters, art, ethics, and religion) has in our time reached an undoubted completion. Man has learnt to deal with himself in all questions of importance without recourse to the ‘working hypothesis’ called ‘God.’ In questions of science, art, and ethics this has become an understood thing at which one now hardly dares to tilt. But for the last hundred years or so it has also become increasingly true of religious questions: it is becoming evident than everything gets along without ‘God’—and, in fact, just as well as before. As in the scientific field, so in human affairs generally, ‘God’ is being pushed more and more out of life, losing more and more ground. Roman Catholic and Protestant historians agree that it is in this development that the greatest defection from God, from Christ, is to be seen; and the more they claim and play off God and Christ against it, the more the development considers itself to be anti-Christian. The world that has become conscious of itself and the laws that govern its own existence has grown self-confident in what seems to us to be an uncanny way. False developments and failures do not make the world doubt the necessity of the course that it is taking, or of its development; they are accepted with fortitude and detachment as part of the bargain, and even an event like the present war is no exception. Christian apologetic has taken he most varied forms of opposition to this self-assurance. Efforts are made to prove to a world thus come of age that it cannot live without the tutelage of ‘God.’ Even though there has been surrender on all secular problems, there still remain the so-called ‘ultimate questions’—death, guilt—to which only ‘God’ can give an answer, and because of which we need God and the church and the pastor. But what if one day they no longer exist as such, if they too can be answered ‘without God’? Of course, we now have the secularized offshoots of Christian theology, namely existentialist philosophy and the psychotherapists, who demonstrate to secure, contented, and happy mankind that it is really unhappy and desperate and simply unwilling to admit that it is in a predicament about which it knows nothing and from which only they can rescue it. Wherever there is health, strength, security, simplicity, they scent luscious fruit to gnaw at or to lay their pernicious eggs in. They set themselves to drive people to inward despair, and then the game is in their hands. That is secularized methodism. And whom does it touch? A small number of intellectuals, of degenerates, of people who regard themselves as the most important thing in the world, and who therefore like to busy themselves with themselves. The ordinary man, who spends his everyday life at work and with his family, and of course with all kinds of diversions, is not affected. He has neither the time nor the inclination to concern himself with his existential despair, or to regard his perhaps modest share of happiness as a trial, a trouble, or a calamity. The attack by Christian apologists on the adulthood of the world I consider to be in the first place pointless, in the second place ignoble, and in the third place unchristian. Pointless, because it seems to me like an attempt to put a grown-up man back into adolescence, i.e., to make him dependent on things on which he is, in fact, no longer dependent, and thrusting him into problems that are, in fact, no longer problems to him. Ignoble, because it amounts to an attempt to exploit man’s weakness for purposes that are aline to him and to which he has not freely assented. Unchristian, because it confused Christ with one particular stage in man’s religiousness, i.e., with a human law. Bultmann seems to have somehow felt Barth’s limitations, but he misconstrues them in the sense of liberal theology, and so goes off into the typical liberal process of reduction—the ‘mythological’ elements of Christianity are dropped, and Christianity is reduced to its ‘essence’—My view is that the full content, in clouding the ‘mythological’ concepts, must be kept—the New Testament is not a mythological clothing of a universal truth; this mythology (resurrection, etc.) is the things itself—but the concepts must be interpreted in a way as to not make religion a pre-condition of faith (cf. Paul and circumcision). Only in that way, I think will liberal theology be overcome (and even Barth is still influenced by it, though negatively) and at the same time its the question to be ultimately taken up and answered….Thus the world’s coming of age is no longer an occasion for polemics and apologetics, but is now really better understood than it understand itself, namely on the basis of the gospel and in the light of Christ. I want to address what was brought up here, so this is more in the nature of an extended comment than a stand-alone blog post. To put this in some context: the first child labor laws in the U.S. on the federal level were passed in 1938, largely because adults were desperate for work, not out of a new concern for child labor. Woodrow Wilson had signed an early bill into law, but the Supreme Court ruled that it regulated intrastate commerce and the law was voided. So child labor has not been regulated for yet 100 years in this country (and Newt Gingrich thinks that's been not quite a century too long; but that's a topic for another day). In 1903, Mother Jones led a "Children's Crusade" march from Kensington, Pennsylvania to Oyster Bay, New York, summer home of then president Theodore Roosevelt. The march was to demand laws to get children out of factories and mines and into school. Roosevelt refused to meet with them, and yet to this day TR is lionized, and no one mentions his indifference to the horrors of child labor. And, of course, there is the infamous Buck v. Bell opinion, where in 1927 Justice Oliver Wendell Holmes ruled that "Three generations of imbeciles is enough!" He was using legal, not pejorative, language; language considered, at the time, quite scientific. Which is what brings me back around to the comments I wanted to respond to. It was science that assured Justice Holmes people could be soundly legally classified as "imbeciles" and "morons." It was the pursuit of science that convinced Burroughs Wellcome there was no problem with administering experimental vaccines to 2000 babies without consent of anyone but the institutions where they were living. It was science that convinced people this was not only good, but necessary. And, frankly, it didn't really end until science achieved its nadir, in the Holocaust committed by Nazi Germany. Eugenics was behind Justice Holmes' comments; eugenics that led the state of Oklahoma to forcibly sterilize certain of its citizens, based more on the fact they were not socially desirable, than on the fact of their actual mental or physical conditions. ("Feeblemindedness," itself a legal term, was associated more with social class than with actual mental ability. 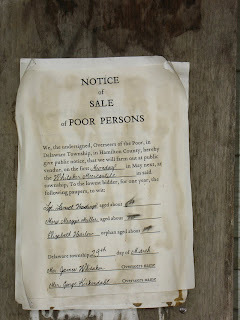 If you were rich enough, you were merely "eccentric.") There is evidence that Carrie Buck was the victim of poverty, not of diminished mental capacity; and more evidence the state of Oklahoma was only too willing to find some of its residents more worthy of respect and autonomy than other of its residents. What finally ended such arrogance was the horror of Dachau and Auschwitz, the realization of what the Nazis had done and why. I can remember my parents reporting on a lecture they attended decades ago when the first "artificial heart" was in the news. My father was a heart patient, and the topic was of great interest to them. The doctor speaking condemned the experiment then in the news, the attempt to make an artificial heart work by implanting it in a man who had no hope of survival with it (the major mechanism of the heart, the pump, was actually located outside the body. It was the functional equivalent of being hooked to a dialysis machine 24/7, with no hope of ever removing it.) He pointed out that humankind had universally banned human experimentation after discovering what was done in Germany under Hitler. So times have changed, but the change did not come about because of science, but in spite of it. It was not science that told the world what was done by Nazi doctors was wrong; it was humanity. It was the utter revulsion that made human experimentation so revolting. It is true, in the example I cite, that there is a difference between consent and non-consent to participate in the trials; but it still a dubious thing when we experiment on people, when we diminish any individual's quality of life merely for the sake of information. It is a dubious thing, but science alone can say nothing about it. In other words, the Catholic institutions that these women and their children were forced to turn to as their only refuge viciously turned their backs on them — treating them, quite literally, as garbage. This is abuse of the highest order. Abuse in life, abuse in death. Carried out by religious orders so warped, so perverted in their utter lack of mercy that they participated in the suffering of an unfathomable number of babies and children. This is what the Catholic church of Ireland is capable of, when it is given free reign over the bodies of its most vulnerable members. But, as TC points out, this was done as much by the British government as by the Catholic church. It seems especially heinous when carried out by a Christian institution (or even a religious one), but the sterilization laws of Oklahoma were not protested by any Protestant denomination, and no institutional church movement championed the cause of children in 1938, or before. If they did, their efforts have been lost to history (which would not surprise. The UCC is active in many movements for social justice, but whether it even deserves credit it doesn't receive is unknown and virtually unknowable, largely because no one pays attention). To this day Martin Luther King, Jr. is credited with leading a civil rights movement that actually led him; it existed before he took the leadership role, and continued after his death, and was rooted in churches all across America. Oddly, when a church is caught in complicity with a policy we belatedly condemn, that failing is noticed. When a church is in the midst of a great struggle we belatedly affirm, the actions of the church are ignored and swept aside. And science, as ever, gets to claim the public ground of virtue and the greatest benefit for the greatest number, and set itself as the opponent of ignorance, usually championed by some religiously connected figure or another (usually pastors of independent or quite singular churches, seldom people speaking for a denomination; or just figures who claim to know God's mind and will). It is curious that religious orders are warped, but never science. We once had "mad scientists" and scientists so myopic they were blind to the horrors their science might unleash. Now we only have dangerous religious fanatics and no true Scotsman can be a scientist who does wrong. The underlying scandal here is the alleged 800 bodies found in a septic tank on the grounds of a former home for unwed mothers in Tuam, Ireland. The problem with that scandal is that almost everything about it has been misreported. Catherine Corliss established, through painstaking research, that 796 children died at St. Mary's between 1925 and 1961, all from natural if lamentable causes (no foul play is alleged, in other words). She also discovered that there were no burial records for the children and that they had not been interred in any of the local public cemeteries. In her article she concludes that many of the children were buried in an unofficial graveyard at the rear of the former home. This small grassy space has been attended for decades by local people, who have planted roses and other flowers there, and put up a grotto in one corner. When Corless was researching the home she looked at old maps of Tuam. One was an 1840 Ordnance Survey map that shows the then workhouse. At the rear of the site is a space she believes to be the sewage tank for the workhouse, although it is not labelled as such. Later maps have “sewage tank” written in the same space. That's where the notion of a "septic tank" came from; but why couldn't all the bodies be buried there? Even if a number of children are indeed interred in what was once a sewage tank, horrific as that thought is, there cannot be 796 of them. The public water scheme came to Tuam in 1937. Between 1925, when the home opened, and 1937 the tank remained in use. During that period 204 children died at the home. Corless admits that it now seems impossible to her that more than 200 bodies could have been put in a working sewage tank. So where were they buried? In unmarked graves, apparently; and how that reflects on any Catholic practices of the time, I will not venture to say. However, at the church I pastored here there is a cemetery that dates back to the mid-19th century. One section of it is undisturbed, a large space noted in church records as a common burial plot. The story is it was where victims of a yellow fever epidemic were buried, because the bodies had to be interred as quickly as possible, and there were so many of them. They were not "dumped," and there were not 800 of them, but no one knows who is buried there, or how many bodies there are. Was there a scandal attached to the church about childcare or unwed mothers, however, I'm sure that large blank place in the graveyard could be attached to some imagined horror very quickly. I come to this via Charlie Pierce, and I don't add a crumb to the audience that will read it today if only because Pierce linked it first. But dammit, this is what today is about, from someone who was there, then. This is what we should remember today. This has been retitled on the front page of Salon to "Atheism's Next Phase: Justice." Which leaves me wondering: is atheism a movement? an ideology? A non-religious religion? From the comments at Salon, I'd say it's more like loading frogs in a wheelbarrow, or herding cats. But we have to decide what it is before we can decide whether it is coherent enough to have a "next phase." Like I say, from the comments at Salon, what comes to mind are frogs and cats. What was the first phase? Making the best-seller list? World hegemony? Blogging? 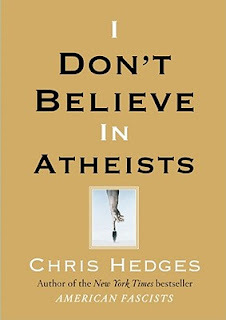 Even as atheists open churches for atheists, I've had atheists in my comments tell me atheism is not about being anti-religion at all, that in fact it really isn't about anything, except not being religious (which isn't about being anti-religious, apparently; though I still don't understand the distinction between "non-religious" and "atheist," especially where Dawkins and Hitchens are concerned). But if atheism is not an ideology or a movement, how does it have a phase? The Pauline question of whether [circumcision] is a condition of justification seems to be in present-day terms to be whether religion is a condition of salvation. Freedom from [circumcision] is also freedom from religion. I often ask myself why a 'Christian instinct' often draws me more to the religionless people than to the religious, by which I don't in the least mean whey any evangelizing intention, but, I might almost say, 'in brotherhood.' While I'm often reluctant to mention God by name to religious people--because that name somehow seems to me here not to ring true, and I feel myself to be slightly dishonest (it's particularly bad when others start to talk in religious jargon; I then dry up almost completely and feel awkward and uncomfortable)--to people with no religion I can on occasion mention him [sic] by name quite calmly and as a matter of course. Religious people speak of God when human knowledge (perhaps simply because they are too lazy to think) has come to an end, or when human resources fail--in fact it is always the deus ex machina that they bring on to the scene, either for the apparent solution of insoluble problems, or as strength in human failure--always that is to say, exploiting human weakness or human boundaries. Of necessity, that ran go on only till people can by their own strength push against those boundaries somewhat further out, so that God becomes superfluous as a deus ex machine (is even death, which people now hardly fear, and is sin, they now hardly understand, still a genuine boundary today?). It always seems to me that we are trying anxiously to speak of God not in the boundaries but at the center, not in weakness but in strength, and therefore not in death and guilt but in man's [sic] life and goodness. As to the boundaries, it seems to me better to be silent and leave the insoluble unsolved. Belief in the resurrection is not the 'solution' of the problem of death. God's 'beyond' is not the beyond of our cognitive faculties. 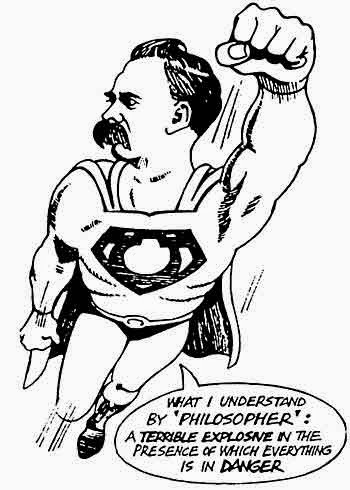 The transcendence of epistemological theory has nothing to do with the transcendence of God. God is beyond the midst of our life. The church stands, not at the boundaries where human powers give out, but in the middle of the village. That is how it is in the Old Testament, and in this sense we still read the New Testament far too little in the light of the Old. How this religionless Christianity looks, what form it takes, is something that I'm thinking about a great deal, and I shall be writing to you again about it soon. It may be that on us in particular, midway between East and West, there will fall a heavy responsibility. "Wish I could fly like Superman"
So I've been frittering away my time watching "X-Files" on Netflix. It's like re-reading a favorite story collection: even the not-so-good ones are still entertaining, and you can't stop until you finish the whole collection. Which would also be just the thing to throw into a roomful of squabbling atheists, I suppose. But the basic premise of "X-Files" is that phenomena which leave undeniable physical evidence behind are always re-interpreted into a schema that disallows the nature of the phenomena from being apprehended. For example, in one episode involving the series signature alien conspiracy, a series of records found on several computers across the country (cloned aliens, or something; just go with it) reveals records that are marked to proteins used as tags via smallpox vaccinations (because everyone has one; or nearly everyone). The protein itself is even visualized, and found to be unique for individuals. This is either a curiosity, or evidence of a vast cataloging of humanity. It's meant to be the latter, of course, but that interpretation cannot be accepted (why should it be? ), so the facts themselves are simply ignored until a "rational" interpretation can be applied. You can make the extreme counter-argument, that to accept interpretations requiring so much acceptance of so many extreme conclusions (like a catalog of all smallpox vaccinated humans on the planet via a protein tag unique to each individual) is to accept absurdity, and then what can be true? Or you can note that the ground beneath your feet is really not as stable as the positivists would have it be. Which is really still the interesting option. Those "atheists" arguing at Salon about who the true atheists are all insist that skepticism (have they read Descartes?) and "reason" will set you free to know the truth! But then there is Pilate's question: "What is truth?" And that's subject to interpretation, isn't it?